After a few years of silence, one of the most distinguished black metal hordes from Poland returns. New album brings even darker and ruthless face of band. Furious, amazing and incredibly varied vocals. Fierce guitars spitting out destroying riffs. Massive and fast drums. Hard line of the music is mixed with great melodies on this album. Fanatic, pagan, antichristian lyrics sung in Polish and one in Ukrainian. Impressive, dark graphics by Sonneillon from B.o.P. Lyrics in Polish and English are to be found in a 16-page booklet. 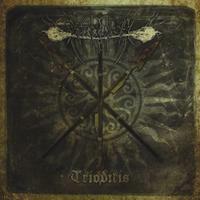 "Trioditis" is pure heathen hate aimed at enemy. Third Abusiveness album is faster, more blasphemous and murderous.